Welcome to ALLO BOX LOCATIONS, an established company since 2009, THE Storage Facility for Lyon, the Rhône Alps region and the Ain Department. 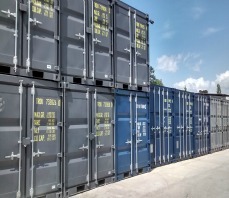 .We offer you THE solution for all your storage needs, on our highly secured site, only 15 minutes away from Lyon. ALLO BOX Self Storage: The ideal location to keep your belongings safe and in perfect condition, for as long as you like. ALLO BOX LOCATIONS: We have the space you are looking for!